Most forms of gambling are well engrained in Italian society. The country is credited with what is often referred to as the world’s oldest land based casino in the world. Casino di Venezia was apparently established as far back as 1638. The nation also boasts the popular Casino de la Vallee in Saint Vincent. In addition to having plenty of perfectly legal land based gaming venues available, the country has plenty of fully licensed online gambling portals available. Italy is now major issuer of online gambling licenses and one of the toughest regulators in Europe. When gambling activities first appeared online back in the mid 1990’s, like most other nations, Italy was unsure as to how it would properly monitor and regulate this new industry, but the government quickly responded with a liberal attitude of not stopping gamblers from placing real cash wagers online, but in fact allowing them to do so and fully embracing the new industry. In 2007, the Italian government affirmed the Decree on Liberation and declared that online gambling was now a legal pastime and The Finance Act of 2007 also legalised card games of skill. In just a few short years, Italy, as an online gambling licensing authority, went from being an amateur jurisdiction to being regarded as one of the most respected jurisdictions. The gambling authority which is responsible for overseeing, monitoring, regulating, issuing licenses and implementing any changes is called the Agenzia Delle Dogane e Dei Monopoli (aka AAMS). Towards the beginning of 2011, real money online poker games and a variety of other casino games were also legalised by the Italian government. Regulations for online and offline gambling were introduced and companies could now legally offer sports betting services at public high street establishments, plus they were also now allowed to offer their services online. 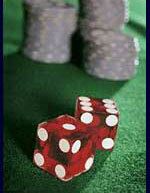 This included online casino services and other online gambling services & products. This move prompted an immediate growth for the industry and huge revenue for the government. Since 2012, Slot Machines have also been legally permitted. More than 160 online gambling portals are now licensed in Italy, but you can also find even more which are licensed offshore. Many players still prefer to gamble in online casinos which are owned by foreign operators and at ones which are licensed in jurisdictions such as in Alderney (by the Alderney Gambling Control Commission), in Malta (by the Malta Gaming Authority, formerly Lotteries & Gaming Authority of Malta), in Gibraltar (by the Government of Gibraltar), in Alderney (by the Alderney Gambling Control Commission), or in one of several other major global licensing jurisdictions. Today’s best Italian online casinos all accept Euros, they support the Italian language and they accept a variety of today’s most effective Italian online payment options. For more details about some of the best Italian online casinos, head straight to our online casino review section. Gambling in Italy - Wikipedia page discussing gambling in Italy, legal aspects of gambling and provides information about online gambling in Italy. Italian Gaming Commission - Information and resources pertaining to gambling in Italy on the commissions official website here.